As TV’s become bigger and bigger, so does the risk posed by tip-overs. 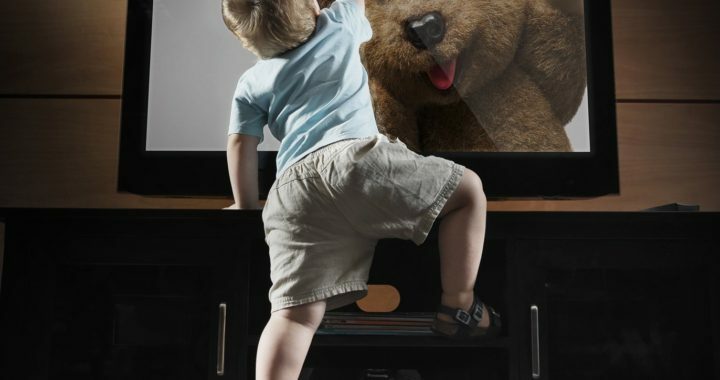 In the past 10 years, a child has visited the emergency room every 45 minutes because of a TV tipping over. Some injuries are permanent or even fatal. The best way to prevent TV tip-overs is to have the TV properly wall-mounted using a high-quality, weight appropriate TV mount/bracket. It is also important to have wires and cables properly run to the TV so that they can’t be tugged on. Running the low-voltage audio/video cables behind the drywall or through a wall-mounted cable manager is both safe and aesthetically pleasing. For power to the TV, an electrician should install an outlet behind the TV so that the power cord is not running down to an outlet near the floor. A second option to secure a TV is to use a properly installed anti-tip strap that attaches to your wall and your TV. This is the option to use when the TV is resting on a piece of furniture. It is a good option for renters since it does less damage to the wall. Furniture should also be properly anchored to prevent it from tipping. With either of these options, proper installation and hardware is crucial to safety. A poorly mounted TV can unexpectedly fall causing injury or death. For a professional TV wall mounting installation, contact Omni Cabling.